Mr. Abdullah Al Islam Jakob was born in 21st December, 1972 in Charfassion, of Bhola district.in Bangladesh. His father was Principal M.M. Nazrul Islam (Former Member of Parliament) and mother is Begum Rahima Islam. He came from family which has close ties with politics. His father was the Member of Parliament (MP) in several national parliamentary elections and was the founder principle of Charfassion Collage. He started his education career by obtaining first division in SSC in 1988 from Charfassion Tafnal Barat High School of his home town. Later he was awarded MSS in Social Science from Bangladesh Peoples University. Mr. Jakob was elected Member of Parliament for the second time from 118 Bhola-4 constituencies in the 10th National Parliamentary Election in 2014. 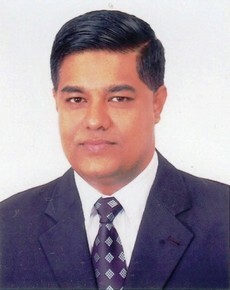 He took oath as a Deputy Minister on the 12th January 2014 and has been holding the portfolio of the Ministry of Water Resources, Government of the People’s Republic of Bangladesh. He also served as a member of parliament in the 9th National Parliament. As a Member of Parliament he served as the member of the Parliamentary Standing Committee for Ministry of Water Resources and Ministry of Power, Energy & mineral Resources. He is rigorously involved in many social, cultural and development activities in his own constituency. Many a time, he joined United Nation’s general Conference, UN RIO-20 conference, International Conference on Climate, Business Summit as member of parliamentary committee and government delegate and also pay personal visit to USA, Canada, UK, UAE, Russia, Japan, Australia, Newzeland, Germany, Austria, Italy, France, Spain, Denmark, Switzerland, Belgium, Netherlands, Greece, South Africa, India, Nepal, China, Malaysia, Thailand, Qater, Saudi Arabia, Hongkong, Indonesia, Singapore, Bhutan, Maldives, Srilanka, Sweeden, Finland, Estonia, Pakistan, Turkey, Egypt, Mexico, South Korea, Philipine, Brunei, Brazil, Argentina, Uruguya, Kenia, Morocco, Myanmar and many other countries.